This Superfresh opened as a Centennial A&P in the 60's. 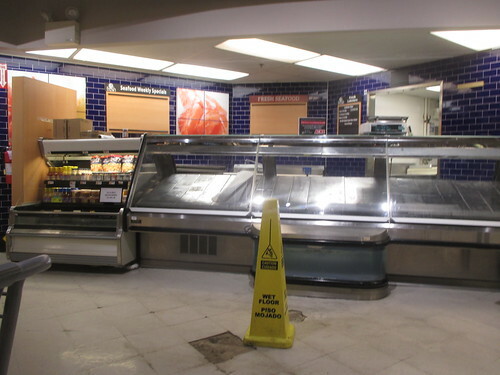 It has been expanded several times and was actually one of Superfresh's best-performing stores... receiving a Fresh 2.0 remodel in 2006, where it was given its current look. 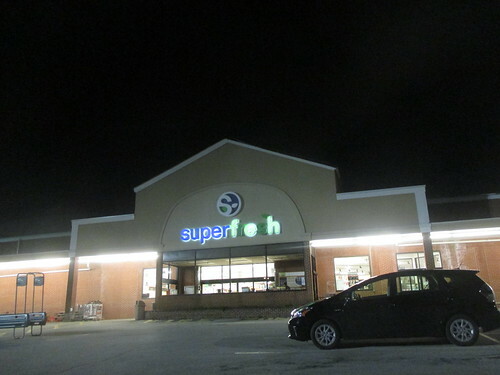 This Superfresh was similar to those in Doylestown and Wynnewood, which are very rural, yet populated, areas. A new, off-centered Superfresh logo... missing part of the icon. This was a common occurance in the new logo... the lower, different colored part would fall off. 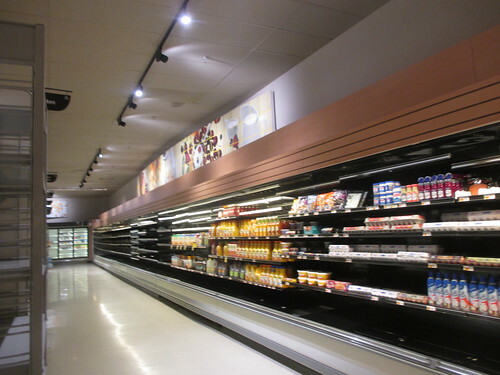 A bare, but fresh spot-lighted produce department. All new cases came in with the last remodel. 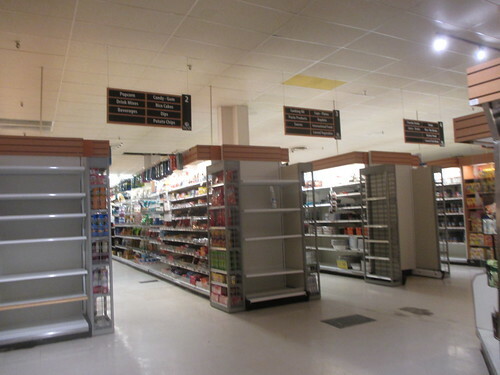 These photos were taken a few weeks before Acme came in, which explains the signs and empty shelving... waiting for the store's new future. Front-end tops out at 6 checkouts, with a very small floral area to the left. Meat and seafood under one big alcove. 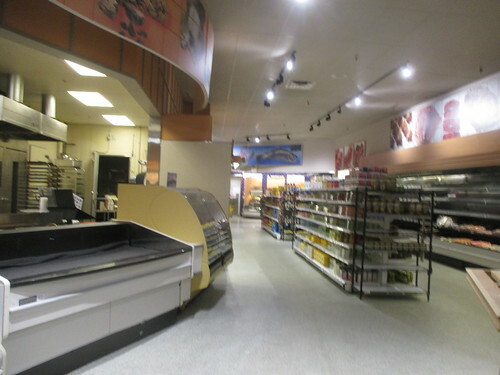 Fresh deli and bakery make a walkway type center here... very neat! 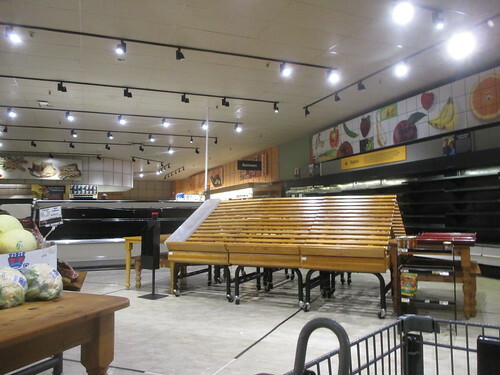 A&P took all of their money and invested it into this store... the whole store is almost new from top to bottom. 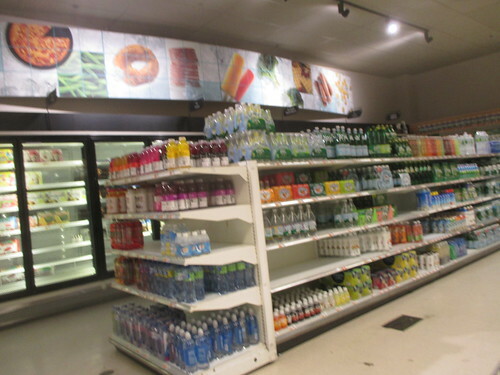 Frozen foods in the alcove near beverages, as seen by the gondola shelving here. Wood-slat shelving still lives on here. 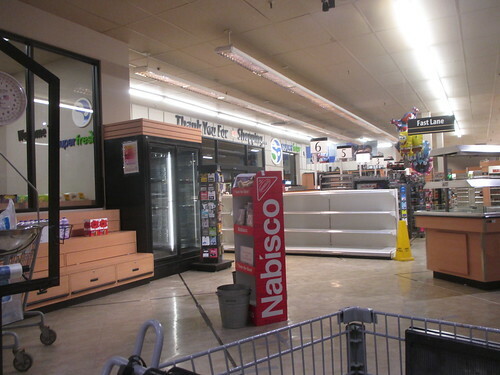 Most of the shelving in regular Fresh remodels were taken out for black shelving. Dairy department wrapping up. Dramatic lighting for this department. Other Fresh remodels have it bright and lively. Pharmacy just around the corner with a Chapstick dump bin looking rather tired. Goodbye, Superfresh. Sad to see you go. 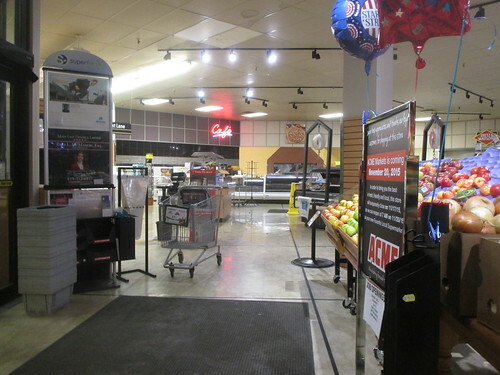 An ACME is now in the space using the same decor and some fixtures (see cart above).